Apple opened proceedings with a quick update about the Apple Watch, then got straight to business announcing new models, including the fashionista-approved Hermès collection. The “air-mez” models seemingly come with an exclusive watch face based on iconic Hermès typography, as well as a set of hand-stitched leather bands. They’ll be available in selected Apple Stores and Hermès locations from October 5. Apple also added models to the regular Apple Watch lineup, with the Apple Watch Sport now available in Rose Gold and Gold aluminium. New bands are also included as part of the updated range, including the anticipated Product(RED) Apple Watch Sport Band. WatchOS 2 will be out September 16th. Apple had previously hinted this iPad update was going to be a big one, and it was: the 12.9-inch iPad Pro represents the largest iPad yet, taking the height of the iPad Air, flipping it on its side, and then filling that out to make up the traditional 4:3 aspect ratio. The iPad Pro is kind of like the iPad, except different: it’s got an A9X SoC onboard, 5.6 million pixels in the display, and the same 10 hours of battery life. Not only that, but Apple are completely validating everything Microsoft has been doing with the surface by also offering a Smart Keyboard, which attaches to the iPad Pro via magnets and provides an Apple-woven fabric surface to type on, for times when the full-size software keyboard just doesn’t cut it. And if there’s a physical keyboard, Apple might as well go all the way and offer a stylus, which is exactly what they’ve done with the Apple Pencil. The Apple Pencil lets you draw, paint, and scribble like you’ve never done before on an iPad, with pressure sensitivity and increased touch display polling in order to capture the smooth curves of your pen input. You can use the Apple Pencil simultaneously with your fingers, and even though I didn’t get any kind of confirmation of palm rejection from the demo videos shown off during the keynote, there’s a decent chance it will be supported, turning the iPad into, well, a Surface. It wasn’t the first time a Microsoft exec appeared on stage at an Apple event, but Apple did pull one out of the hat and demo Microsoft’s suite of productivity apps and their integration with the new iPad Pro, with its ability to run apps side-by-side, as well as showing off how well they worked with the Pencil. Adobe also made an appearance on stage, telling us about how their new apps were made to work on the iPad Pro with the Apple Pencil. The new iPad Pro gets a four-speaker audio system, and while Australian pricing hasn’t been announced, the device starts at a 32GB capacity for US $799. Wi-Fi and LTE models will also be available, but we’ll likely know more when the iPad Pro launches in November. The Apple Pencil was also given a price of US $99, with the Smart Keyboard coming in at US $169. It turns out, all that hinting about Siri had to do with the new Apple TV. The entire interface has been revamped to work around asking Siri questions, such as getting recommendations for action movies. It’s surprisingly well-featured, with the capability to narrow down searches: “show me action movies. Bond action movies. Bond action movies with Sean Connery”, and that kind of thing. Apps. On the Apple TV. Apple CEO Tim Cook said the team at Apple had been working on them for a long time, which garnered a few laughs from the crowd, but finally, they’re here, adding to the Apple TV experience. As rumoured, games will be making their debut on the Apple TV, with casual titles such as the Australian-developed Crossy Road (now with fun-lookin’ multiplayer support) being shown off. Never have I ever seen Australians on stage at an Apple event until today, and while the folks from Hipster Whale threw out a few “mates” that seemed a little too forced, I’m sure it was all good otherwise. The Apple TV also gets a fancy new touch-screen remote that lets users swipe and tap to select content – there’s a cool new scrubbing mode in the Apple TV movie player that gives you a little preview of the movie at that time, and it’s the same Bluetooth remote that doubles as a controller for games, although you’ll also be able to use many of the iOS-compatible Bluetooth gaming controllers basically no-one has purchased. Maybe the Apple TV will change that, but we’ll see. The Siri Remote charges via Lightning and will last three months on a single charge, according to Apple. Pricing and availability for the new Apple TV goes a little like this: both 32GB and 64GB models will be available for US $149 and US $199, respectively. Australian pricing hasn’t been announced, but we should see it sometime in October. In case you had forgotten about the elephant in the room (or, alternatively, weren’t already completely blown away by the sheer amount of awesome Apple had already announced), we did have one more Apple product lineup to cover, and that’s the iPhone. The iPhone 6s and 6s Plus have exactly the same design as their iPhone 6 and 6 Plus predecessors, but basically everything else is new. There’s a new 3D Touch display that can sense the difference between a tap, a press, and a stronger press. The 3D Touch display powers the new peek and pop features of iOS 9, which let you get a preview of a link, an email, or whatever you’re interested in looking at. It’s kind of hard to explain, so check out the videos on Apple’s website to see how it works in action. 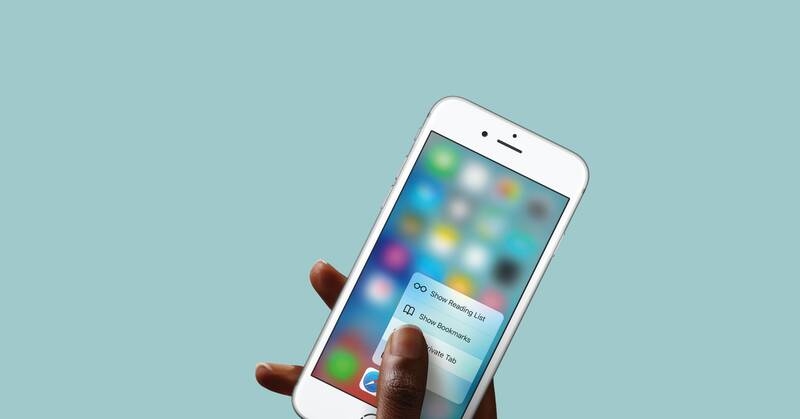 As I tweeted: yes, the new 3D Touch is like right-clicking. But if that means I’m able to call or send a message to someone from the home screen instead of having to launch an app and then find the right buttons to press, then I’m all for it. And hey, if people want to be take selfies from the home screen, who am I to say otherwise? Camera improvements are also on the menu with the new iPhones — with 12 megapixels and the ability to capture 4K video for the first time, Apple says the new camera doesn’t have the usual loss in quality associated with upping the megapixel count. The front display is now being used as a True Tone flash for those near-dark selfies, with a custom chip allowing the display to flash three times brighter doing most of the heavy lifting there. Photos themselves have been given an overhaul with the new Live Photos, which are essentially stills that can be 3D Touched to play a short recording of the time you took the photo. It’s all fully automatic, Live Photos can also have sound, and they work across all your devices: Mac, iPad, iPhone, and Apple Watch. Australian pricing and availability has been announced for the new iPhone 6s and 6s Plus, with the 6s available in 16GB, 64GB, and 128GB capacities for $1,079, $1,299, and $1,379 respectively, while the 6s Plus comes in at $1,229, $1,379, and $1,529 for the same capacity options. Pre-orders for the new iPhone — which will also come in a new Rose Gold aluminium option, with optional matching charging dock — open on 5:01pm on the 12th September, with the device going on sale on September 25. Interestingly enough, Apple also took the opportunity to launch an iPhone upgrade program, letting you pay a monthly fee to have the latest and greatest iPhone with AppleCare. Pricing for Australia hasn’t been announced, but given the program is only available in the US for now, we’ll likely see more details when it arrives in Australia. The official iOS 9 launch date from Apple is also on September 16th, coinciding with the launch of watchOS 2. Last but not least, iCloud pricing got a drop as well. No confirmation on the new tiers or pricing just yet, but I’ll update this post when I know more. Apple closed out this morning’s event by inviting One Republic on stage — I half-expected Taylor Swift to close out proceedings, given her involvement in Apple Music now paying artists during the three-month trial period, but hey, a guy can dream. Now if you’ll excuse me, I will proceed to light my credit card on fire, thanks to how poorly the Australian dollar is doing. But that’s a story for another time. But actually cheaper for most models than the US on an exchange rate basis, even before you add US sales tax. A couple of things I thought about when watching the keynote - why is it called Force Touch on the Watch, and 3d Touch on the iPhone for what is essentially the same thing? Even Craig Federighi used the wrong term at one point! These two technologies do the same things, but we're going to see an additional level of sensitivity in the new iPhones. Probably to do with the atrocious exchange rate.